Plesk provides full support for the PHP scripting language, including support for multiple PHP versions and handler types out of the box. This topic explains how Plesk customers can manage PHP settings for their domains and subdomains from the Customer Panel. 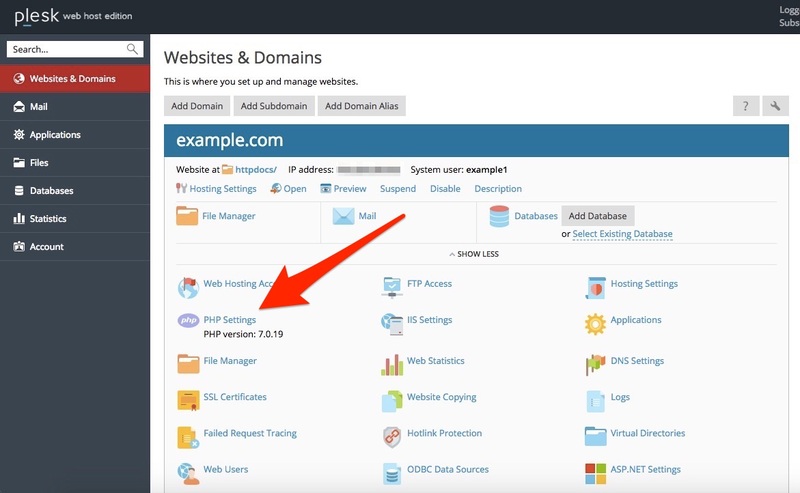 Locate the name of the domain or subdomain you wish to change the PHP version for. If the desired PHP version is missing from the menu, contact your HostJelly Technical Support. Note: that different PHP versions are not 100% compatible. A website written in PHP 5.3 may not function correctly if you configure PHP version 5.4 for the domain. If you are not sure what PHP version to choose, use the default setting or the latest version available. If your website is not displaying correctly, switch to a different PHP version.